Everything seems pretty calm, you ordered your dress what seems like ages ago (it was probably only 2 months ago but you are still lusting over it! ), you have purchased the bridesmaid outfits with surprising ease (okay so someone may have compromised but everyone is happy) and you have a superb venue, which you know will make a fantastic setting with what will be a fun-filled amazing day. In your head this will be a magical moment between you and your partner, there will be lots of laughter, discussions of who gets on with who and all of this will be over a good bottle of wine and some cashew nuts (okay so cashew nuts with wine are my favourite). However, the reality can be very different and take it from us, in today’s hectic and complicated lifestyles there are divorces, ex’s (not yours I hasten to add but friends who used to date and still haven’t got over it), family members who can’t stand being in the same room as each other, oh and don’t forget the possibility of your future in-laws not really liking each other (thankfully that hasn’t happened to me but it is more common than you would think!). Actually have one – this seems obvious but I have attended a couple of weddings where there isn’t a seating plan and although you may want that laid-back vibe, in reality everyone feels awkward and it takes people ages to just sit down! Don’t over think it – there may be a couple of people who would rather be sitting on another table but tough, this is your day and besides it’s only for a couple of hours. You won’t finalise the plan in a couple of hours – be prepared for this to take longer than an evening. Although you will get the basis done, you will more than likely change your mind a couple of times after sleeping on it (you may go back to the original plan) but believe me, parents always have an opinion! The optimum number at a table is 8 – this comes from attending plenty of weddings and organising my own. It’s the perfect number to talk to different people and everyone has enough space to eat. Keep friends together – this is a matter of opinion as some people like to mix up both partners guests but although this is nice because everyone gets to know each other, the atmosphere always seems to be better when people are more relaxed with people they know. Start a spreadsheet – or if you insist on using paper then invest in post-it notes! You will change your mind so don’t get out the permanent marker until you are 100% sure. Oh and if all else fails, just create amazing table settings and place names so no-one really pays attention to who is on their table anyway! 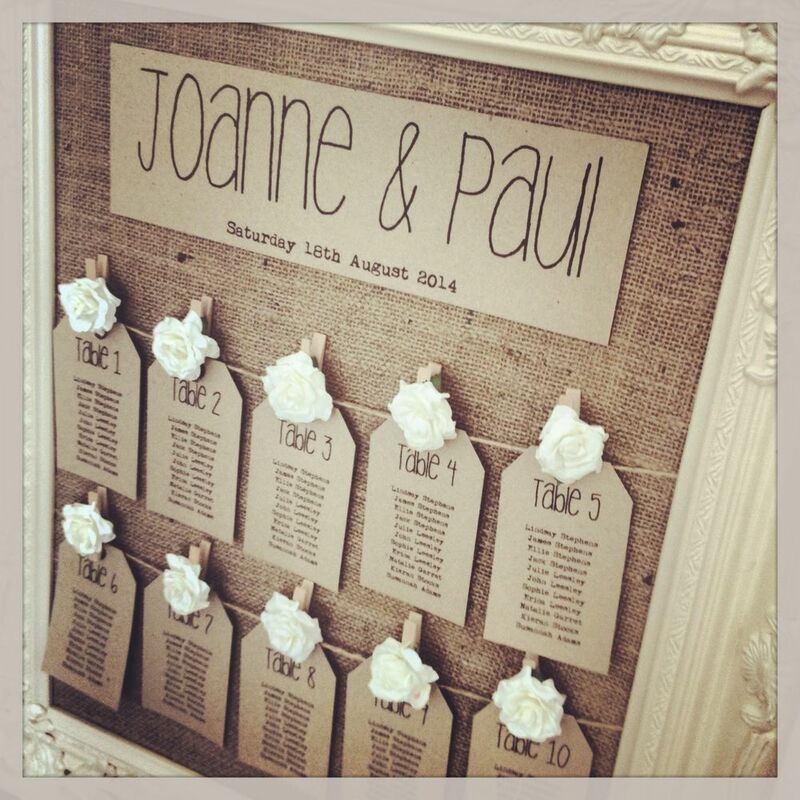 Posted in Lifestyle and tagged How To's, Seating Plan, Style, Table plan, Wedding, Wedding guests. Bookmark the permalink. Yes! I was the girl who swore she didn’t need to do this…then i ended up doing them DIY at the last minute the night before my wedding! Yep and you’re not the only one! You must of been relieved when everyone was sat down!